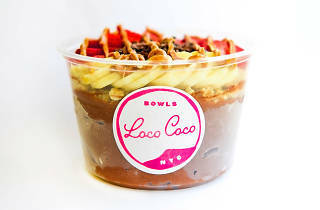 Though tropical isn’t the first word to come to mind when you think of the Upper East Side, one bite of the acai bowls at Loco Coco might convince you otherwise. 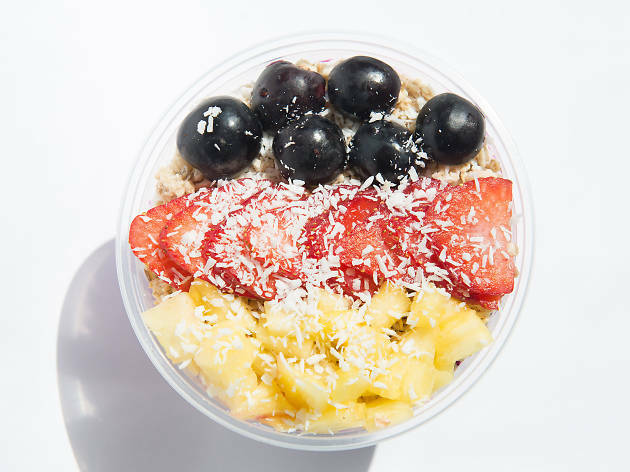 This vegan eatery dishes out bowls and smoothies from its Lexington Avenue storefront. Start with classics like the O.G. L.C. 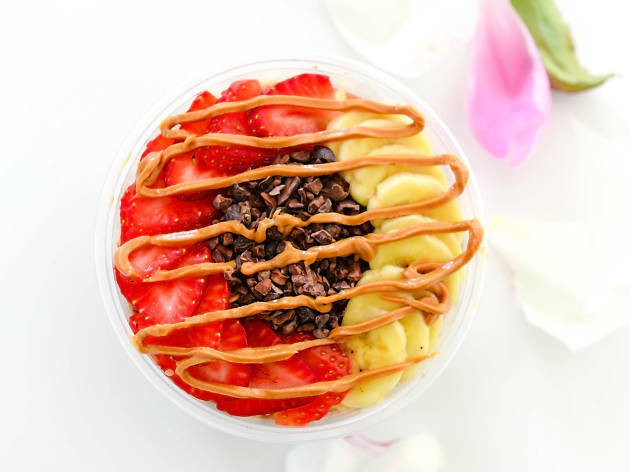 bowl, made from a blend of frozen pitaya, banana, coconut, vanilla and almond milk topped with granola, strawberries, blueberries, white pitaya and more bananas. 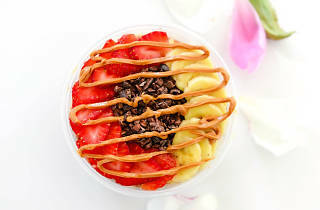 The Nut Butter & Loco bowl with acai, banana, nut butter and almond milk topped with granola, banana, cacao nibs, strawberry and more nut butter is another favorite. If you’d rather take your meal on the go, sip a smoothie like the Loco Loco: blended banana, blueberry, acai, coconut milk and activated charcoal. 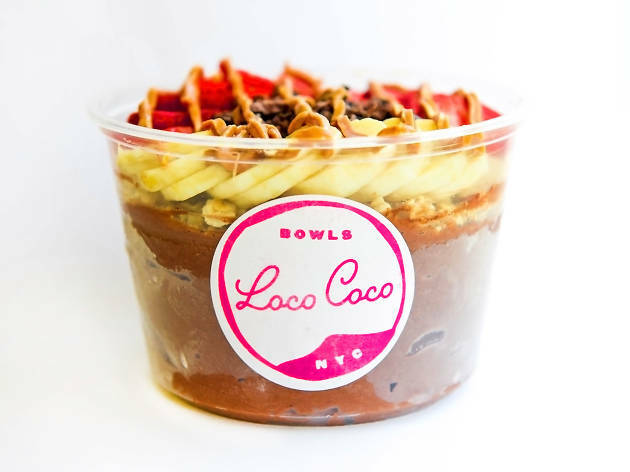 Best of all, Loco Coco uses serving bowls and utensils made from recycled coconut to minimize the impact on the environment. 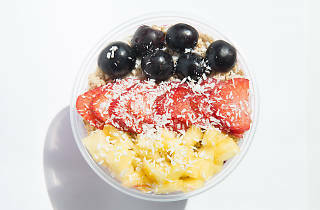 The best acai bowl ive ever had. The consistency was spectacular and the taste was even better. the pitaya is a game changer. Nice clean place with fresh and healthy ingredients.